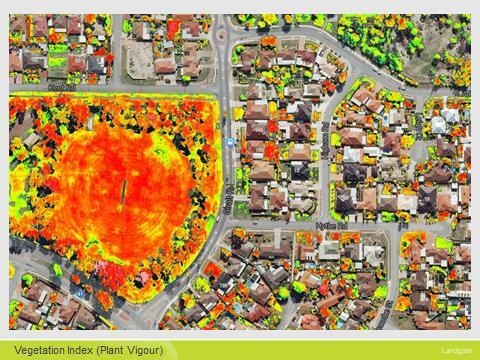 Landgate has a large library of Near-Infrared (NIR) aerial imagery. Our NIR imagery capture commenced in 2007 and is updated each year. control vegetation health impacted by floods, drought, bushfires and weeds. Practical applications of NIR imagery are shown below. This image provides an overview of vegetation health, with red being the most healthy, though to green where vegetation is under stress. 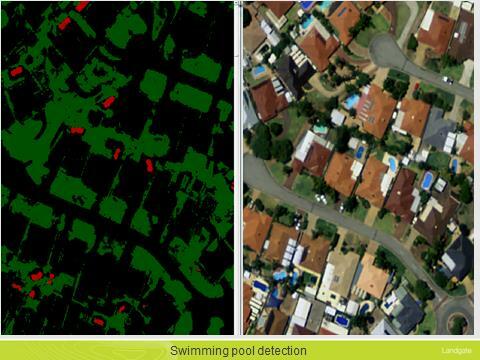 NIR can be used to easily detect permanent and temporary (above ground) swimming pools. 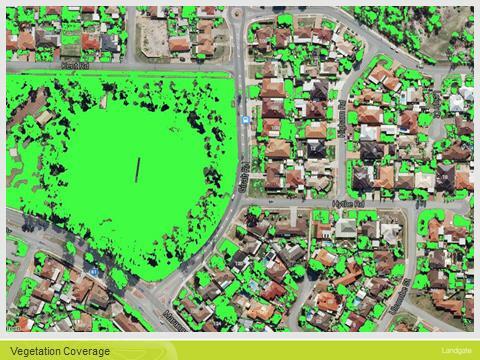 Algorithms can be used to isolate vegetation based on approximate heights. The trees (shown in green) are higher than the grasses at ground level (in pink). 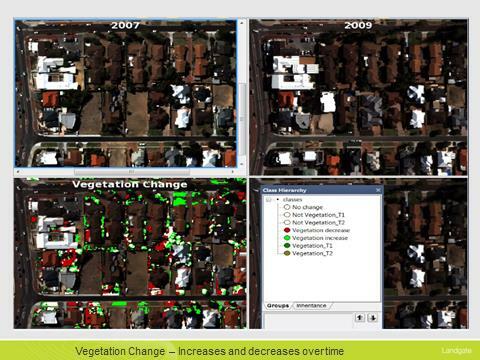 This image shows areas of vegetation increase or decrease from one year to another. It can potentially be used to identify areas of unauthorised clearance.